This is a sponsored conversation written by me on behalf of Torani. The opinions and text are all mine. 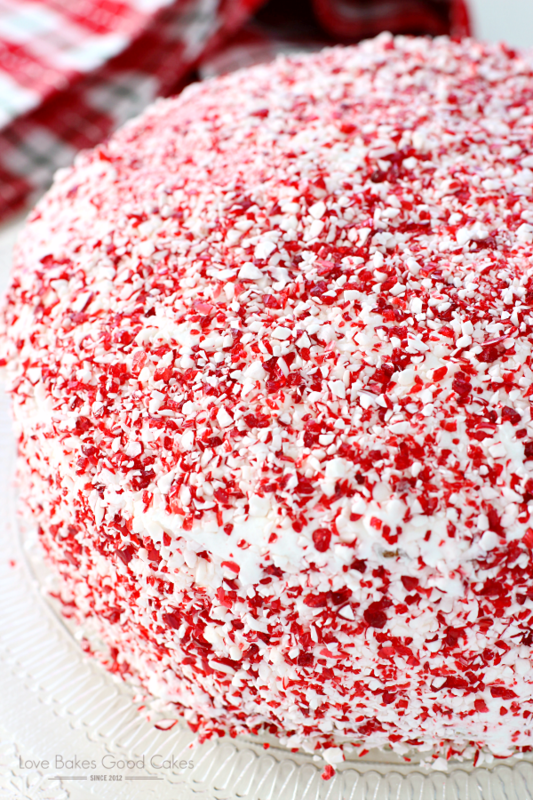 Dazzle your friends and family with this simple and delicious Holiday Peppermint Cake! It just may become a holiday tradition! 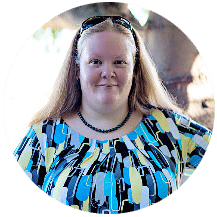 Okay, I admit it … I’m pretty much over all things pumpkin (let me clarify – except the mandatory pumpkin pie for Thanksgiving!) I’m ready to leave pumpkin treats behind and make all things peppermint and gingerbread! Who is with me?! I love Torani Flavored Syrups to dress up my coffee and other drinks. Have you seen the new Easy Pour Spout? 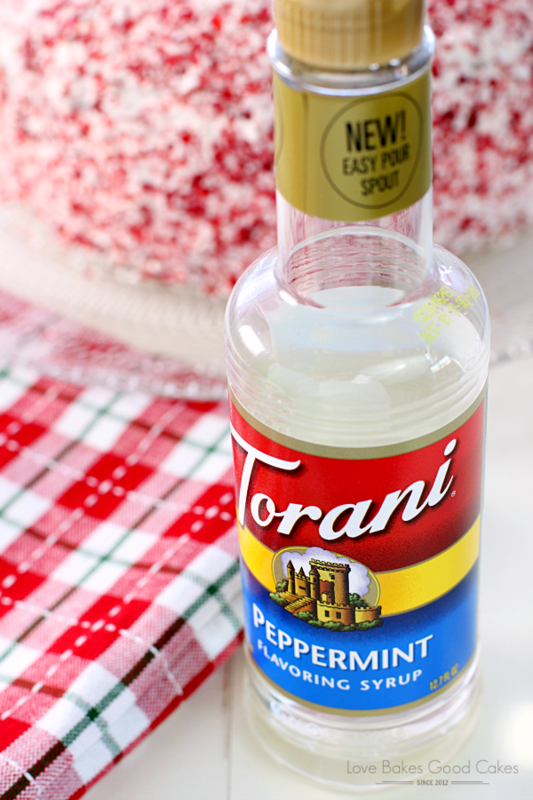 I decided to take one of my favorite holiday cakes and infuse it with Torani Flavored Syrups! 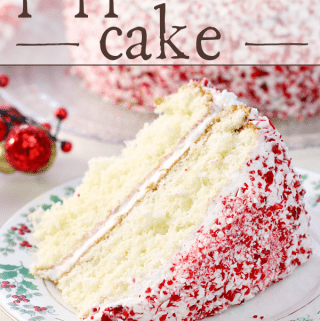 A few years ago, I made this exact cake, but the cake part was just a plain white cake mix … I decided to kick it up a notch with the addition of 1/2 cup of Torani Peppermint Flavored Syrup. I am so glad I did! It is definitely the little bit of something this cake needed! 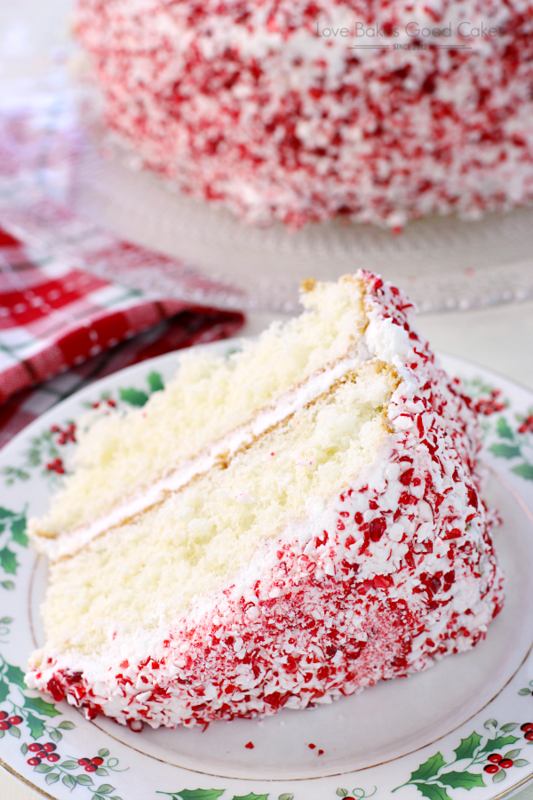 This Holiday Peppermint Cake has become a holiday favorite – we look forward to it every year! 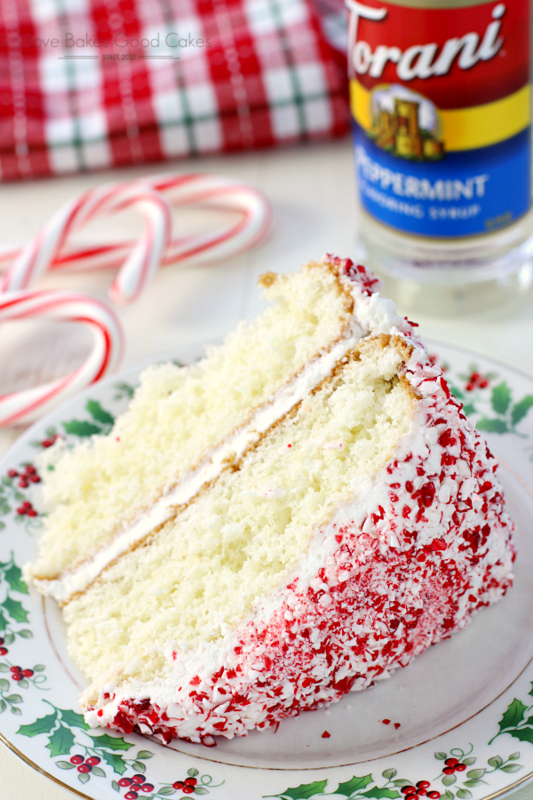 We really love that extra bit of flavor that comes from the peppermint syrup! Although we love this with white cake, you can mix it up with a chocolate cake. Make it the same way for a chocolate-mint treat your friends and family will love! Preheat oven to 350°F. Grease and flour two 9-inch cake pans; set aside. Bake 20-25 minutes until cake tester comes out clean. Place all ingredients in a large mixing bowl, using 3 tbsp. milk or water. With an electric mixer, beat the ingredients on medium speed until well combined and fluffy. Only add the additional tablespoon of milk or water if frosting seems too thick. 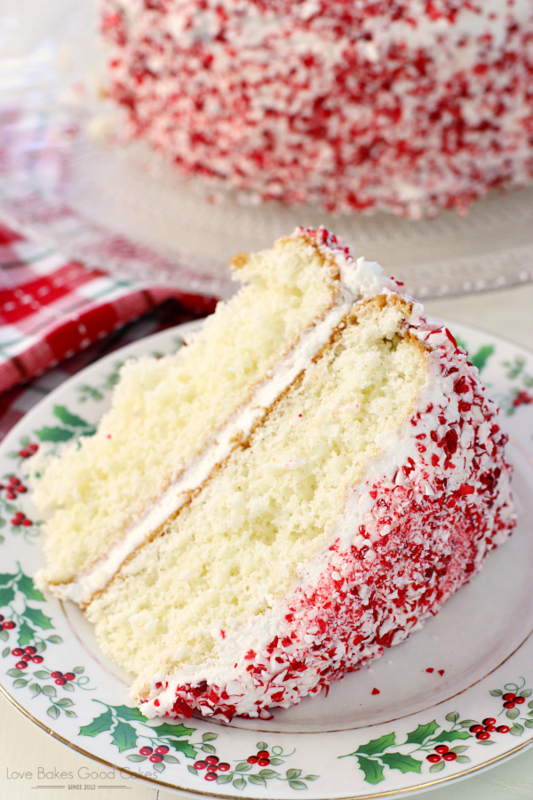 Gently press the crushed candy cane pieces into the side and onto the top of the cake. I have to make this cake, it's not only gorgeous but it looks so delicious! Pinned! This cake is dazzling me all right! 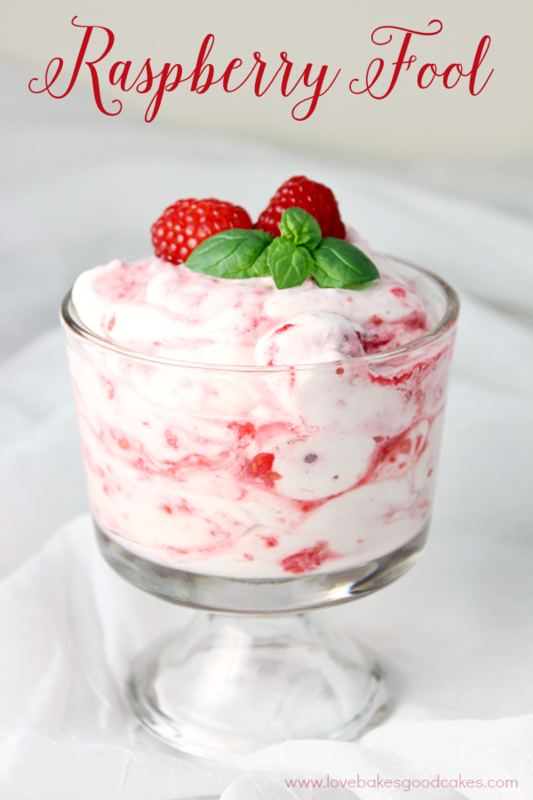 I love all that gorgeous peppermint, and the flavor must be amazing! This is such a great idea. I would try this as cupcakes too! 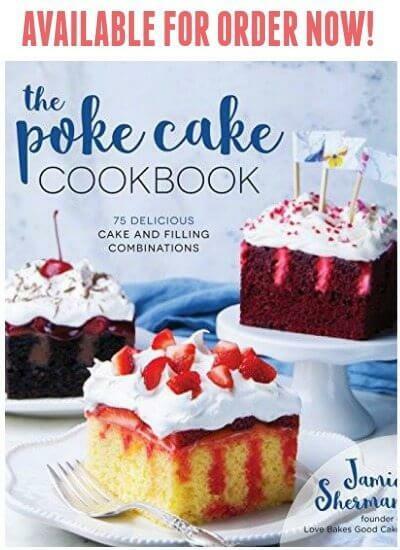 Have you tried with Chocolate cake mix? So gorgeous! 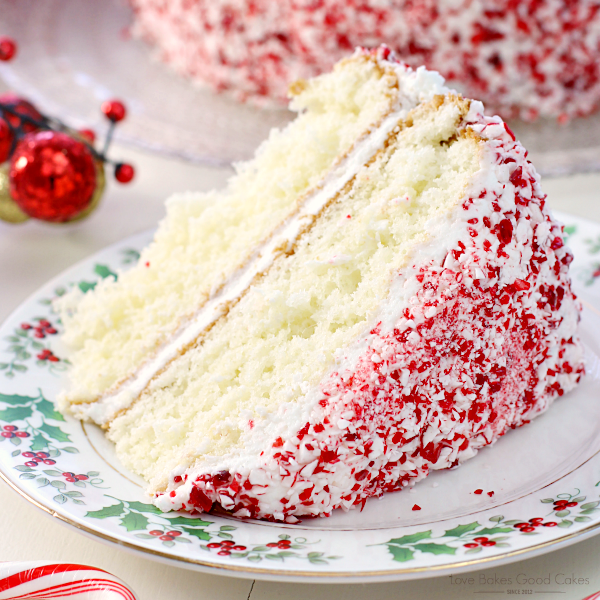 I love the peppermint-so festive! I totally need this cake! This looks glorious! 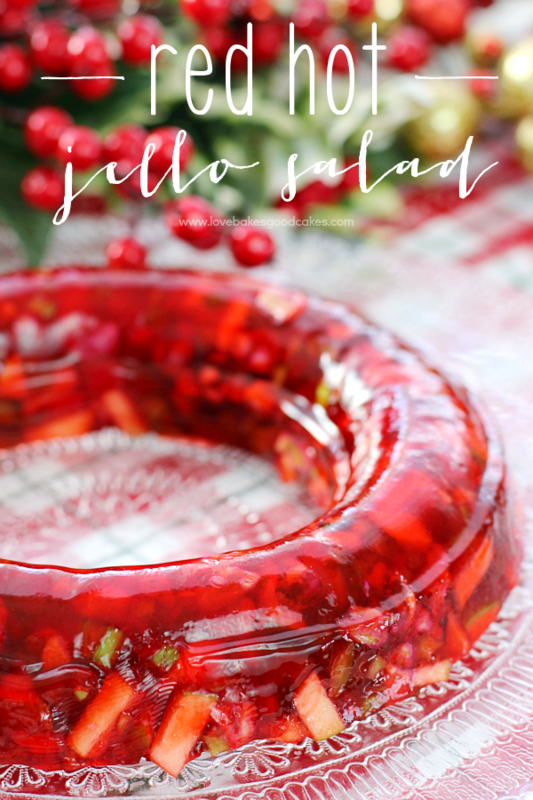 Just perfect for holiday entertaining! Any changes if a chocolate cake mix is used instead? I made this twice already. I added butter to my cake batter and only used mint extract in the icing. It's delicious! The next day the peppermint dissolved into the icing reminding me of the soft peppermint candy. I added a tsp of vanilla to the frosting and it made it even better! That’s a great question! Yes, you can make cupcakes out of this recipe. You would make everything the same – but bake them in the muffin cups for about 15-20 minutes. 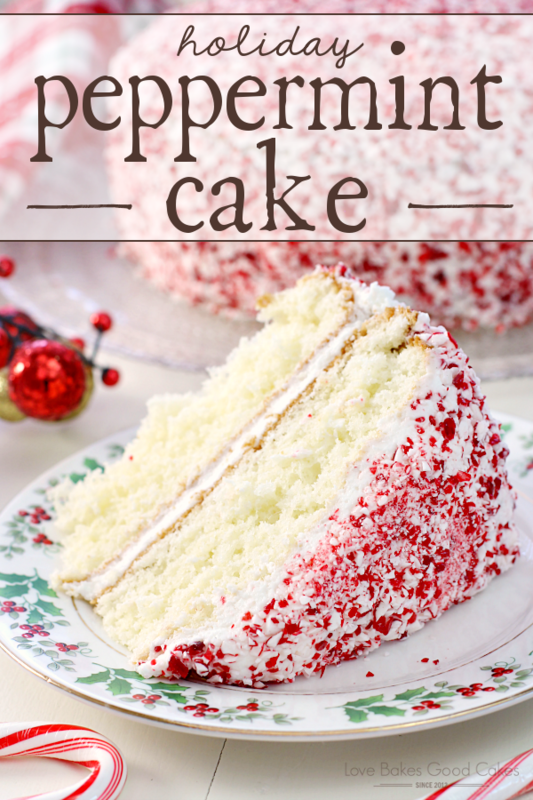 I can not find the peppermint syrup in any stores around me, can I use peppermint extract in the cake and if so how much? I would use 1 teaspoon of peppermint extract in place of the syrup. Enjoy! I made my own peppermint syrup. Bring one cup of water and sugar to a boil. Turn heat to medium and continue boiling 4-6 mins. stirring throughout. Remove from heat and add one teaspoon of peppermint extract. Stir and let cool. Store in mason jar or other air tight container. Can keep refrigerated up to 2 weeks. I plan to use the leftover for coffee and hot chocolate. You might try a coffee shop for the syrup. I used to buy it there before I was able to find it in stores. How should this cake be stored? Will it hold up if I make it the day before? I really want to make this. Could I substitute cream cheese for the butter in the frosting? I made this for Christmas; it wasdelicious. I made extra icing with a little vanilla added. I also use mint extra, the recommended amounts in the comments- very good. Lastly, I find candy canes to be too intense so I didnt add as much as in the pic… I also pounded most of it down into a dust, which I liked better. If I made this again, I turn all the candy to dust and dust the cake. It still looks really great.